When it comes to punk rock, Sef Idle is quietly becoming a household name. 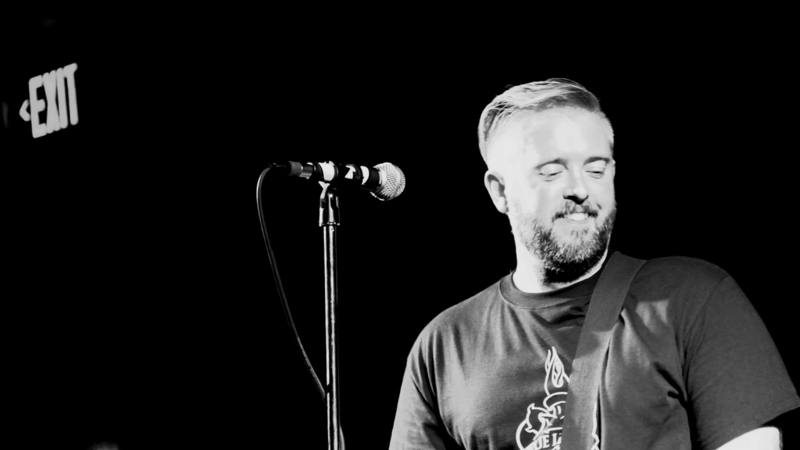 For almost 20 years his musical efforts have been honed and shaped with such bands as Two Spare Months, Strong Point, uniSEF, and finally the Boise-based False Idle. But Sef’s first foray into a more traditional singer-songwriter role does not disappoint. His first official release, Start Again, from Thumper Punk Records is proof that there’s more to his story than one might think. After writing and recording a solo song entitled “Get Back Up” in 2008 under the name Just Plain Sef, the journey began. Although that song was never released until 2012 when it was included with the uniSEF Discography, it was the start of something bigger. Honest writing is key to Sef’s style. Songs like “5 am” and “Back Then” show a continued depth of content while “In The Sand” is an old fashioned thank you to one Mrs. Idle. With an overall message of new beginnings in spite of past mistakes, Sef Idle’s solo release is a reassuring call to all of us that personal failings are not the end, only opportunities to start again. Well-crafted vocals and introspective lyrics make this latest release just another win in an already prolific musical career.